Los Angeles Times Building on fire after being bombed, 1910. Courtesy of Security Pacific National Bank Collection at the Los Angeles Public Library. At 1:07 a.m. on October 1, 1910, an explosion rocked the printing plant of the Los Angeles Times at First Street and Broadway. Several tons of stored ink were ignited into flames that quickly engulfed the entire building. Rescue workers tended to 17 injured people and later recovered 20 bodies from the wreckage. Amazingly, close to one hundred Times employees had been working in the plant on the morning edition. Those nearby the smoldering ruins marveled that so few injuries and deaths resulted from the blast and subsequent inferno. Wreckage from bombing of Los Angeles Times building in 1910. From the George Grantham Bain Collection, courtesy of Library of Congress. Harrison Gray Otis, publisher of the Times, immediately blamed unionists for the blast. For some time prior, the Times had been the most vocal opponent of labor union activity in Los Angeles. During the previous summer, the city suffered from several waves of labor strikes. 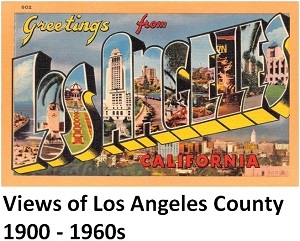 In response, Otis, along with local business leaders, compelled the Los Angeles City Council and Mayor George Alexander to impose anti-picketing ordinances, giving police authority to arrest picketers and persons "speaking in public streets in loud or unusual tones." The LAPD took this new task seriously, rounding up hundreds of labor activists. Harrison Gray Otis, publisher of Los Angeles Times. From Charles Sumner Young, "Clara Barton: A Centenary Tribute," courtesy of Wikimedia Commons. Labor leaders were furious. They felt that they had been making headway in Los Angeles until the appearance of these anti-labor ordinances. Prior to the Times building incident, Secretary-Treasurer John McNamara of the International Association of Bridge and Structural Iron Workers Union (based in Indianapolis) dispatched his brother James and associate Ortie McManigal to Los Angeles to address the matter. With the full support of the Times and local business leaders, the District Attorney’s Office and the city launched an aggressive investigation into the incident. Acclaimed investigator William J Burns was hired and eventually came to focus on the trip to Los Angeles by James McNamara and Ortie McManigal. When Burns finally confronted McManigal, the labor activist offered to tell all in exchange for immunity. The McNamara brothers were arrested and extradited to Los Angeles. Both pleaded not guilty. The national labor movement rallied to the defense of the brothers. Labor insisted that the brothers were being framed to discredit the labor movement in Los Angeles. Famed defense attorney Clarence Darrow was persuaded to take the case for the McNamaras. McNamara Brothers, convicted of the Los Angeles Times bombing. 1911 photo. From the Washington Times, April 25, 1911 edition, courtesy of Library of Congress. It did not go well for the brothers. Darrow himself became convinced that they were indeed guilty. He also became convinced that the prosecution had enough of a case to put his clients in line for the death penalty (Darrow was ardently opposed to capital punishment). Damaging the case even further, an associate of Darrow was caught attempting to bribe prospective jurors. Darrow himself was indicted for jury tampering. He was later acquitted on one charge of bribery and, on the other, the jury failed to reach a verdict. Defense Attorney Clarence Darrow in 1900 Photo. From the George Grantham Bain Collection, Bain News Service, courtesy of Library of Congress. Both Darrow and the prosecution were persuaded to sit down to negotiate a settlement. Darrow believed that his clients were as good as bound for death row. Prosecutors feared that the labor movement would make the McNamaras into martyrs. With the judge’s approval, the McNamaras agreed to change their pleas to guilty in exchange for avoiding a death penalty. James McNamara admitted that he had placed a dynamite-laden suitcase with timer in an alleyway between two sections of the Los Angeles Times plant. The explosion resulted from that action. Brother John was sentenced to 15 years in prison for conspiracy to bomb the Times building. Brother James was sentenced to life in prison. Four days after the McNamaras entered their new pleas, a close mayoral campaign between socialist/labor candidate Job Harriman (who was also Clarence Darrow’s chief assistant on the McNamara case) and pro-business incumbent George Alexander came before Los Angeles voters. Harriman lost. Labor union efforts to turn Los Angeles into a union town failed as the city entered the 20th Century.